First things first, the Mini Lip Plump – what is it? Injecting half a cc or syringe or of dermal filler qualifies as a Mini Lip Plump. 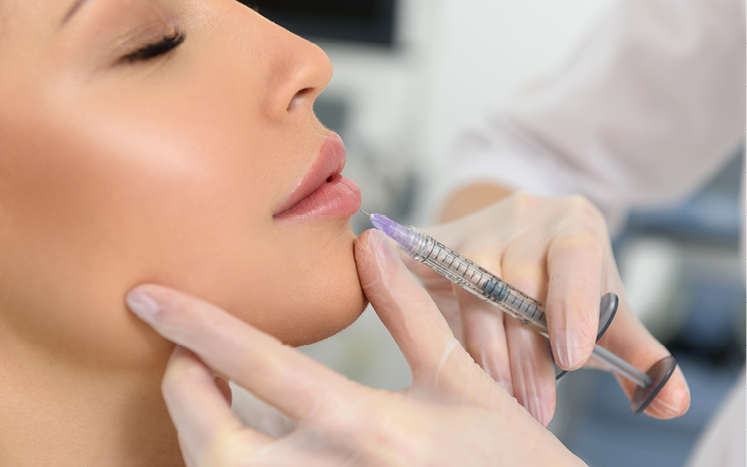 If it’s your first time getting your lips done and you’re a little apprehensive then you may want to consider starting with less than a full syringe. This way you can experience the treatment to know exactly what you’re getting yourself into.The Mini can give you a little more volume in the fleshy part or definition at the Vermillion border. The augmentation will be modest but noticeable. Do expect some swelling which normally subsides after 48 hours. If you still want bigger lips you can always go back for more. Be warned: most people love the results but want additional volume and plumpness. The most obvious reason to get a Mini Lip Plump is if you’re on a budget. Half a syringe will be more economical and some clinics even offer Mini Lip Plump promotions to attract the younger patients. If you choose to go with this service, however, it’s important to have realistic expectations about your results. You won’t be able to achieve improved volume, definition and projection with such a small amount of filler. So choose one aspect of your lips like to enhance and focus on that. That’s why it’s important to discuss your goals and expectations with your Toronto or Burlington dermal filler injector ahead of time to ensure you’re happy with your results. ‍Ada Shim N.P is an experienced Toronto and Burlington Botox and dermal filler practitioner who works out of her downtown and Burlington clinic.